We haven’t posted in awhile, so prepare yourself for a long one. Of course, you can always use the tried-and-true method of just scrolling down and looking at the pictures! 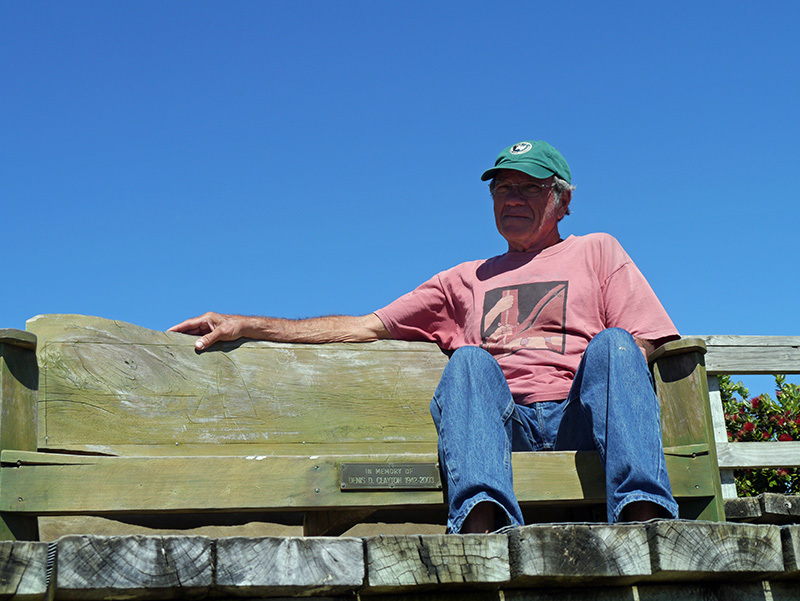 When I returned to New Zealand on January 26, Patrick had been tied to a mooring working on boat projects for two months. He was ready to get out and do some exploring. 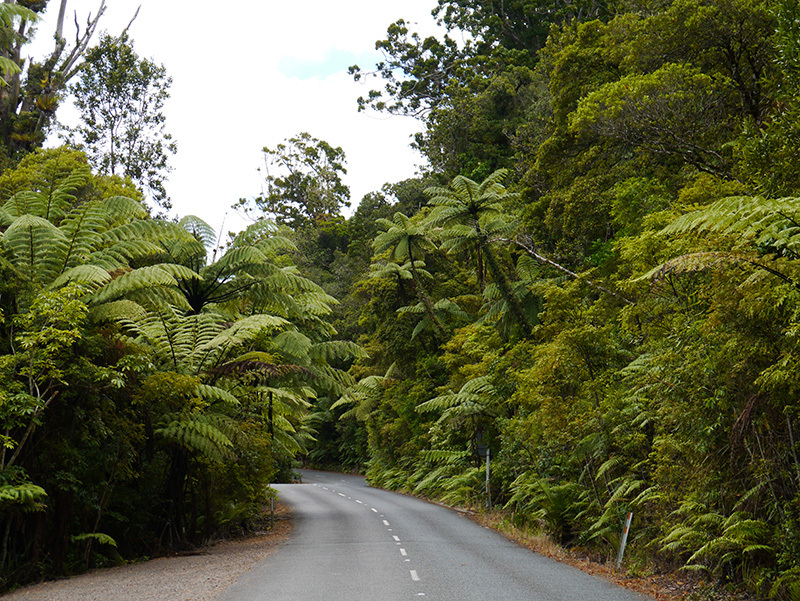 We started with a road trip to Waipoua Forest on his birthday. 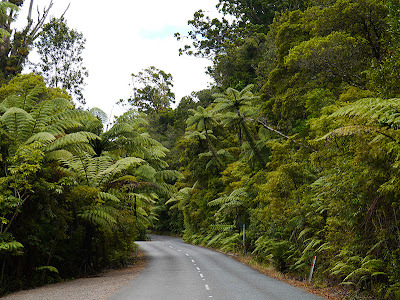 The route we took across the island to the west coast (State Highway 12) was very scenic, full of green rolling hills dotted with woodlands. The word “bucolic” was made for New Zealand. 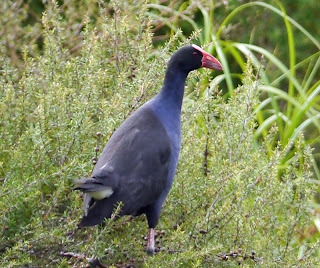 Shortly after leaving Opua, we saw a pukeko, a New Zealand swamp hen. When we reached the west coast, we passed through Hokianga, which has a huge natural harbour that opens into the Tasman Sea. 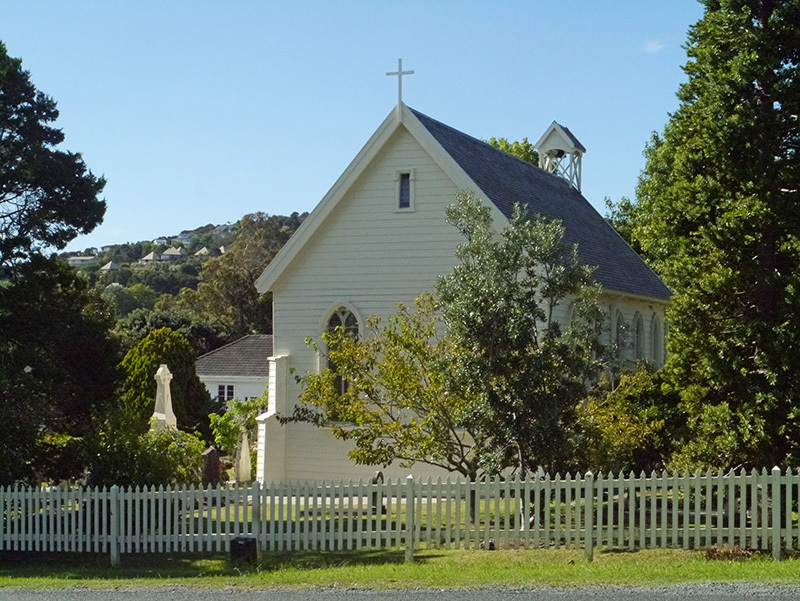 We stopped there to stretch our legs. We had planned to take another route to Waipoua Forest but luckily, we missed the turn for the route we had researched online. 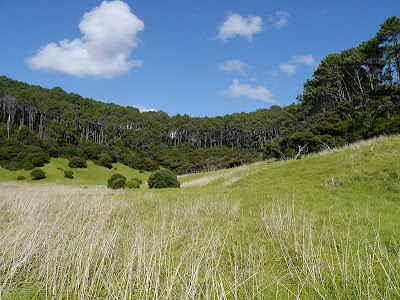 When we got to Waipoua Forest, the naturalist told us she wouldn’t recommend our taking the Google map route back, because (although beautiful) it is over rocky, unpaved roads and takes much longer than either the Highway 12 route or the predicted time listed on Google. Rather than backtrack the way we came, we ended up taking the southern route home. 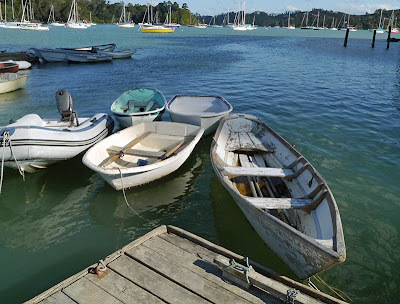 That meant traveling in a big loop, first east to Whangarei, and then north to our starting point in Opua. 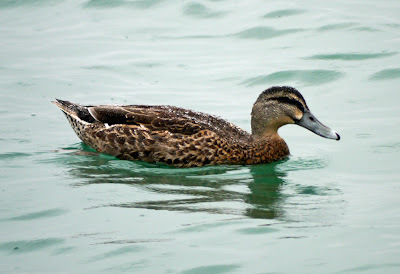 We spent more time driving than we had intended during this outing, but we saw a huge chunk of Northland in the process. 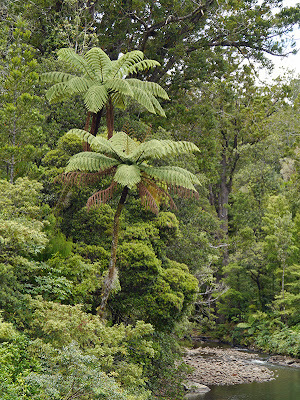 The Waipoua Forest is one of several remaining patches of native forest in New Zealand. 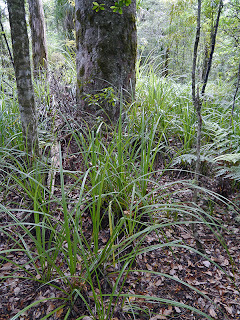 As in other countries, most of the original forest has been logged for timber and to clear land for cattle. 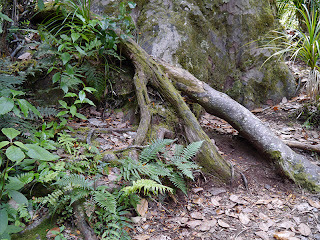 Visiting the Waipoua Forest gave us an idea of what the country looked like when the Maori (indigenous people of New Zealand) were the only people living here. 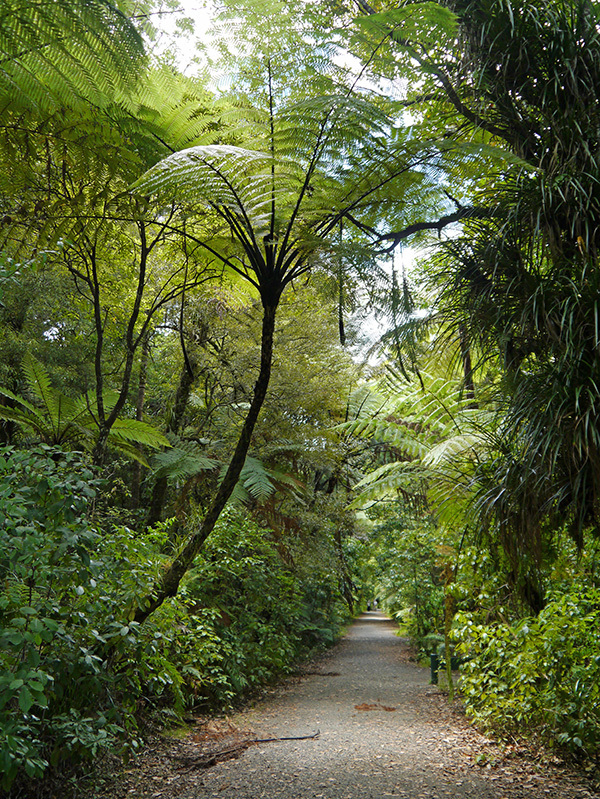 The Waipoua Forest is home to the great kauri trees of Aoteoroa. (Aoteoroa is the Maori name for New Zealand and one translation is “long white cloud.”) Kauri trees have the girth of a giant redwood or Sequoia, but they do not grow as high. 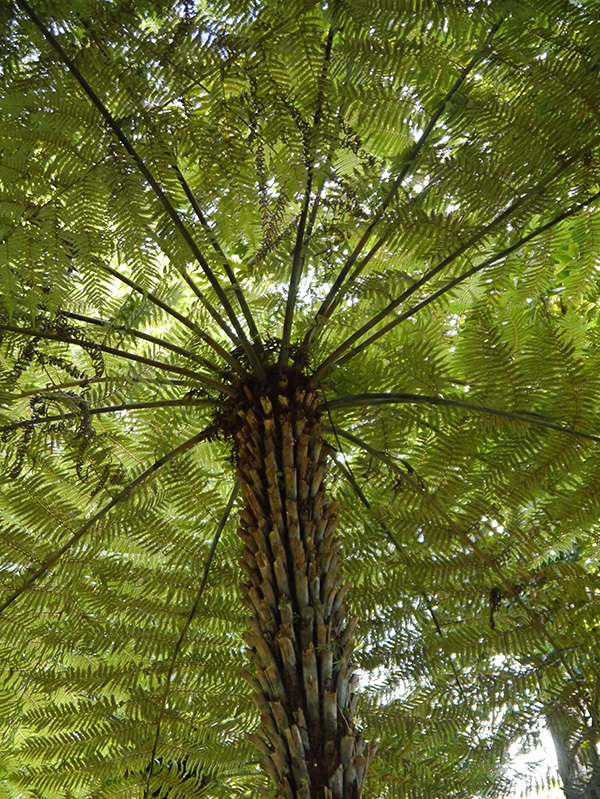 Kauris were coveted by Europeans for their tall, straight timber that was often used to produce ship’s spars. 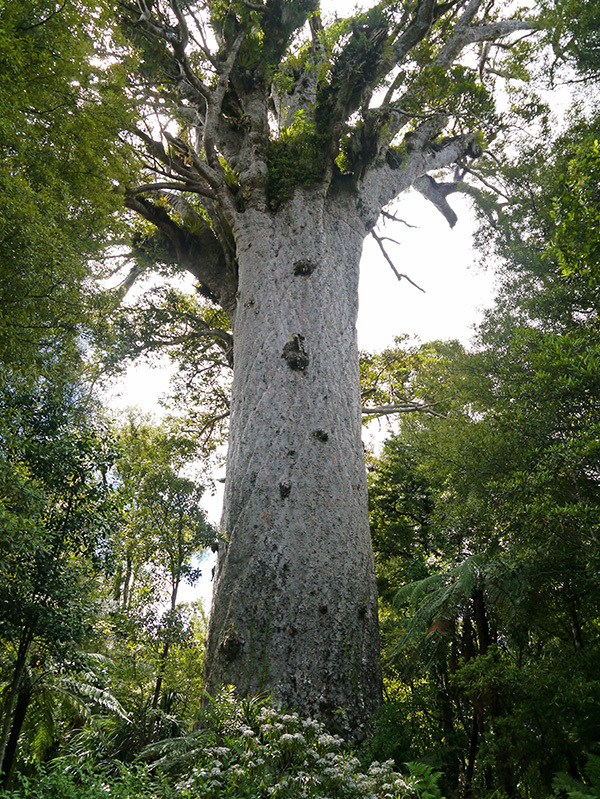 Te Matua Ngahere (not shown), "The Father of the Forest" or oldest living kauri tree, is estimated to be between 2,500 and 3,000 years old. 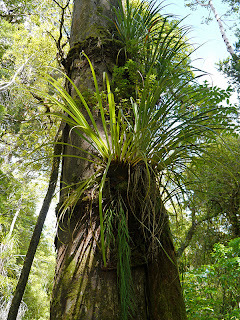 The Waipoua Forest reminded me a lot of the Hoh Rainforest in Washington state, with kauris replacing the old growth Doug fir and Sitka spruce, tree ferns supplanting sword ferns, and sedges that sometimes reached human-height or taller! Kauri trees have shallow feeding roots that are delicate and easily destroyed. Signs throughout the forest reserve constantly remind visitors to stay on the trails for this reason. The forest also hosts the carnivorous kauri snail. These are large, land-dwelling snails that can be over 5 cm across. 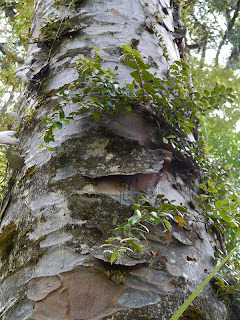 It was too dry at the time of year we visited to spot any kauri snails along the trail, but the naturalist at the visitor station showed me an empty shell so I could see what one looks like. Along with kauris, graceful tree ferns stood out among the forest species. 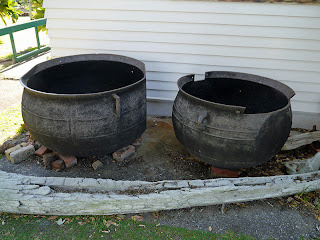 There seemed to be two main types. 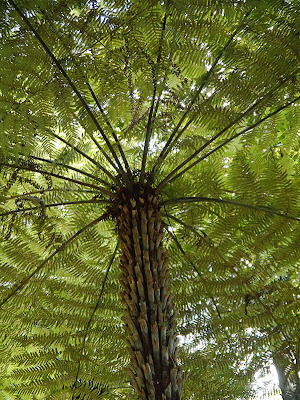 Those that looked like palm trees reminded me of alders, with their “pioneer” habit of lining openings along the road or trails where there is a lot of sunlight. 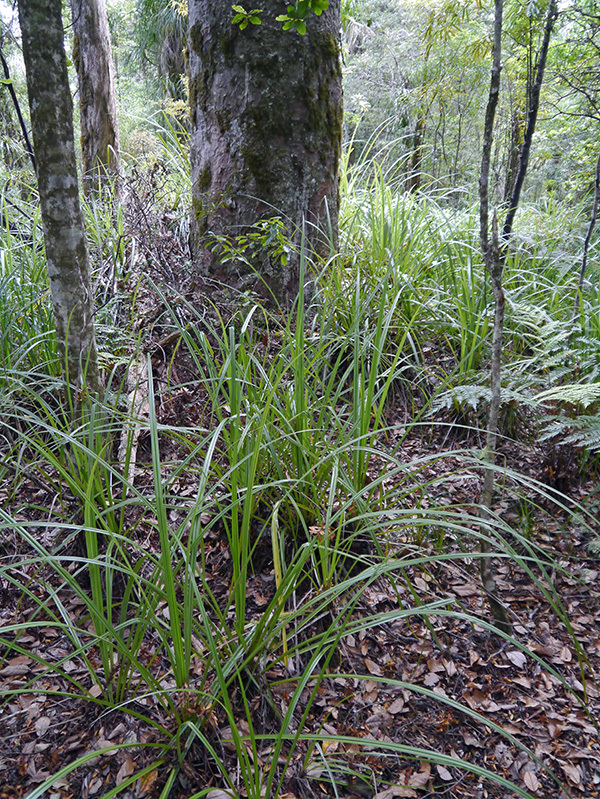 A bushier variety having multiple stalks or stems was found in denser growth. On the way home, we stopped for a break at a tavern and had homemade burgers New Zealand-style---with beets and a fried egg on top---washed down with a cold Lion Red. 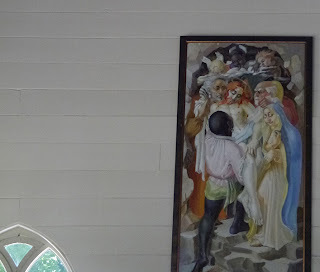 The tavern was very homey (it was actually in an old wooden house) with its Victorian-style green and white-patterned area rugs, hearth (not lit in summer) and huge resident mastiff. 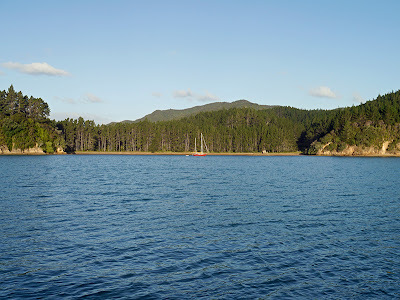 Several days after returning from our road trip to Waipoua Forest, we left our mooring in Opua to do some cruising in the Bay of Islands. Since I had returned from San Diego, the weather in New Zealand had for the most part been gray, dismal, and depressing. Although temperatures were warm, it did not seem like summer in the Southern hemisphere at all. 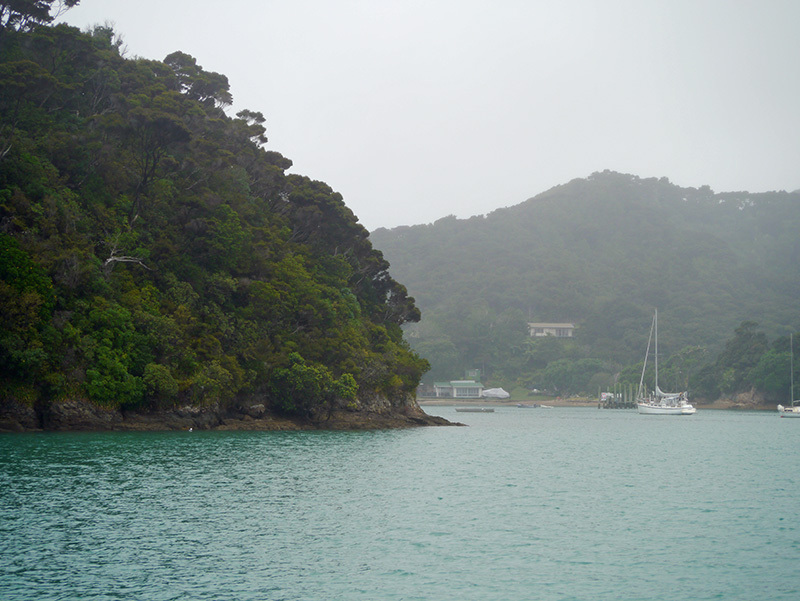 The weather did not relent during our first couple of days in the Bay of Islands, and the constant overcast and misty rain reminded us of the Pacific Northwest. The weather was not the only thing that reminded us of home. The Bay of Islands itself is very similar to the San Juan islands, composed of islets with a maritime climate covered in gnarled trees. 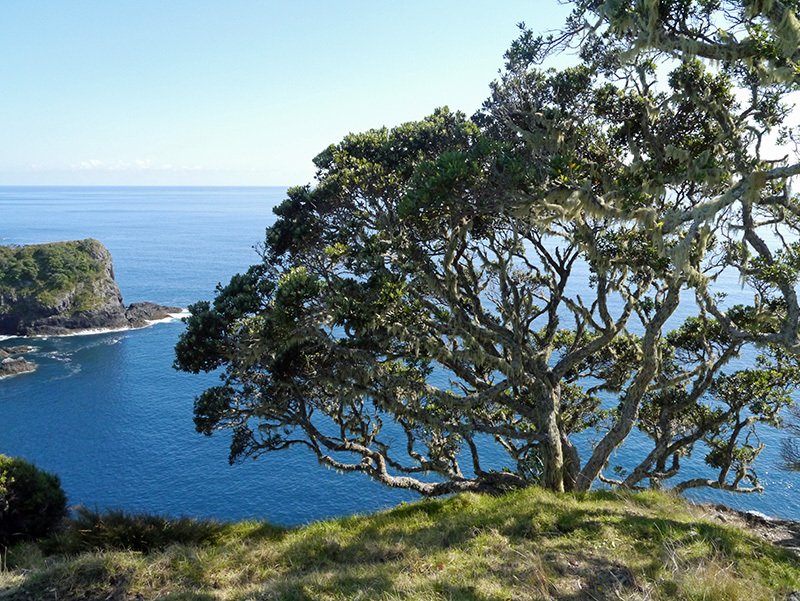 Here in New Zealand, the gnarly, twisted trees are pohutukawa and unfamiliar conifers rather than madrone and manzanita. 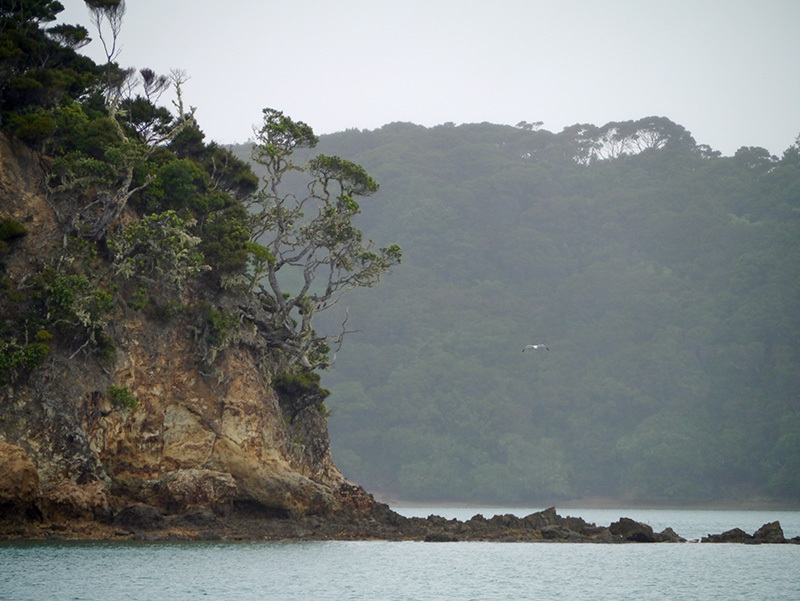 We spent our first night anchored in Assassination Cove, right next to Opunga Cove. The forecast the next day was for 30-40 knots of wind and rain, so we spent a lazy day at anchor, much of it in pouring rain. 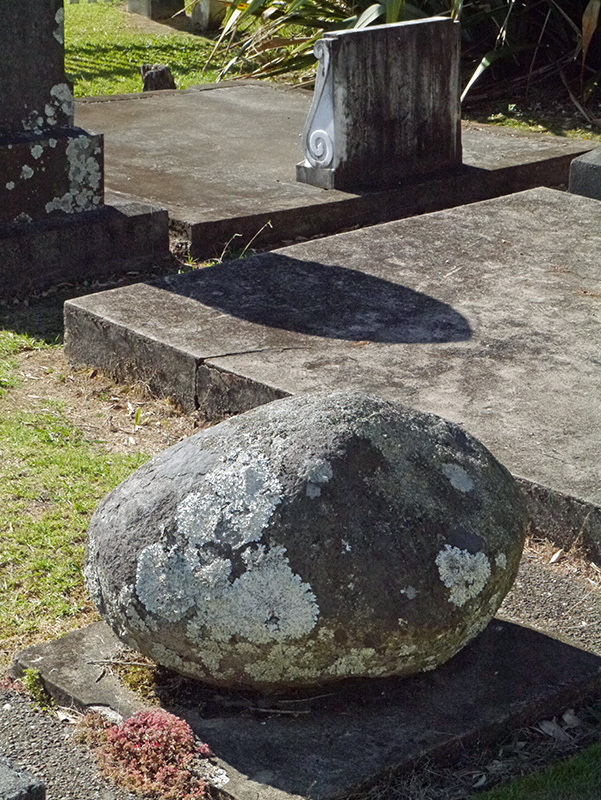 The following day, the sun was finally out, but it was still windy. I was hoping to explore Roberton Island, a wildlife sanctuary. 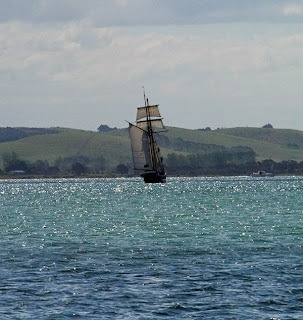 We checked out the anchorage to see if we could use it as a day anchorage, but it is exposed to the south and there were 15-20 knots of southerly winds. 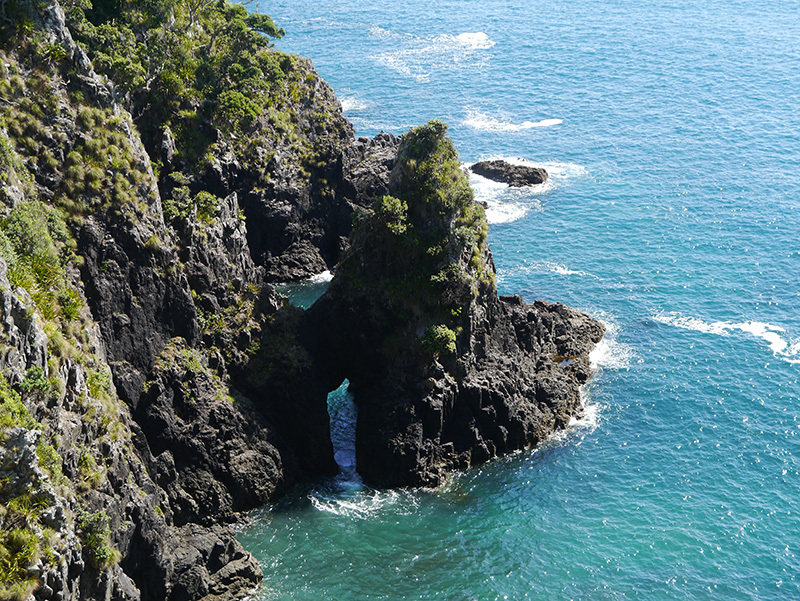 Patrick did not want to leave the boat on a lee shore, so we decided to come back another day. 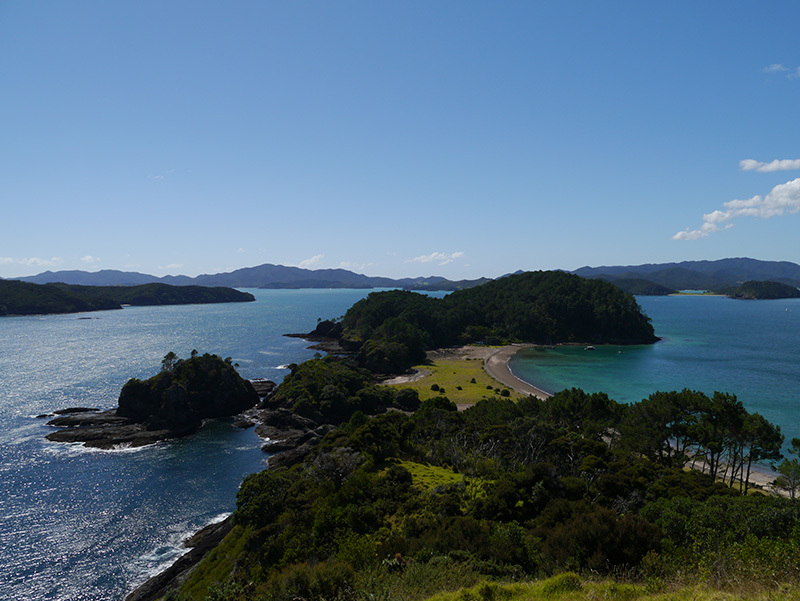 We moved on to beautiful Omakiwi Cove, one of the few remaining pine-forested coves in New Zealand. Omakiwi is a small, narrow cove, and we had the good fortune of sharing it the first night with only two other boats. 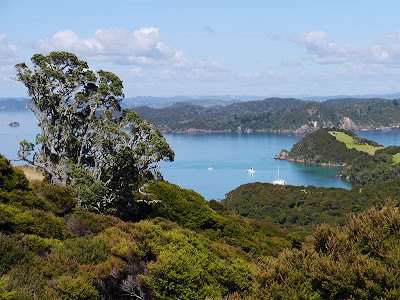 We went ashore and hiked along the road to the Maori villages of Rawhiti and Kamakama Bay. 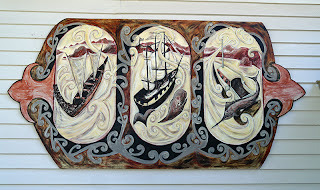 One of the similarities between the Maoris and the other Polynesian cultures we have visited on this voyage are their community gathering spaces, or marae. 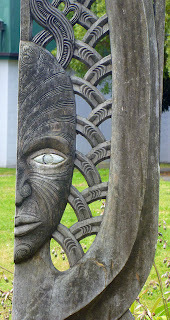 The entrance to the marae at Rawhiti and its community building had some beautiful carvings; but I discovered I had left the memory card for my camera in the computer the last time I downloaded pictures, so I do not have any photos to share. Both of the general stores in these two villages, mentioned in our cruising guide, were closed for the season. Just past Rawhiti, there was a sign for the Oke Bay Preserve, and we hiked up the stairs to the overlook. 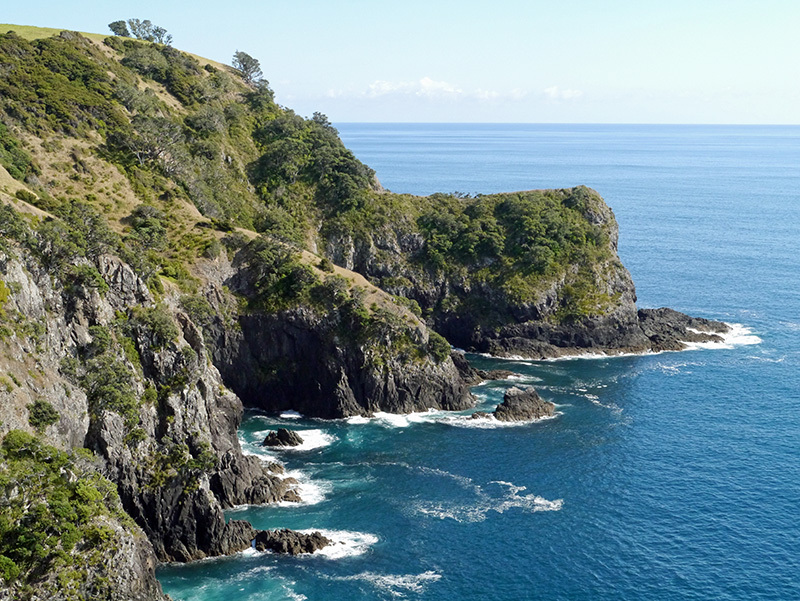 Oke Bay is beautiful, indeed, and would be a fine anchorage in southerly winds. 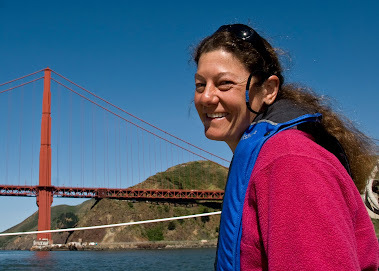 The next day we spent aboard Silhouette, splicing new preventer lines and working on other boat projects. 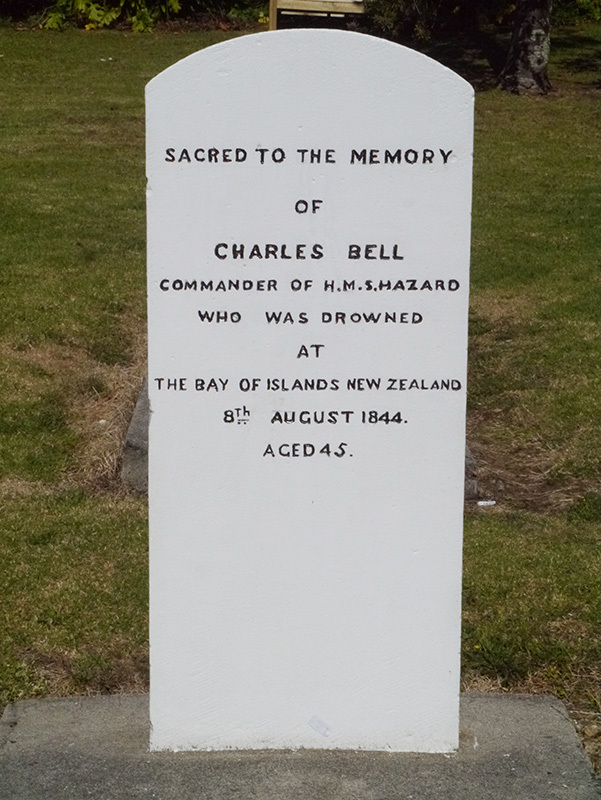 It was Waitangi Day in New Zealand, a holiday over which there is some contention among New Zealanders. 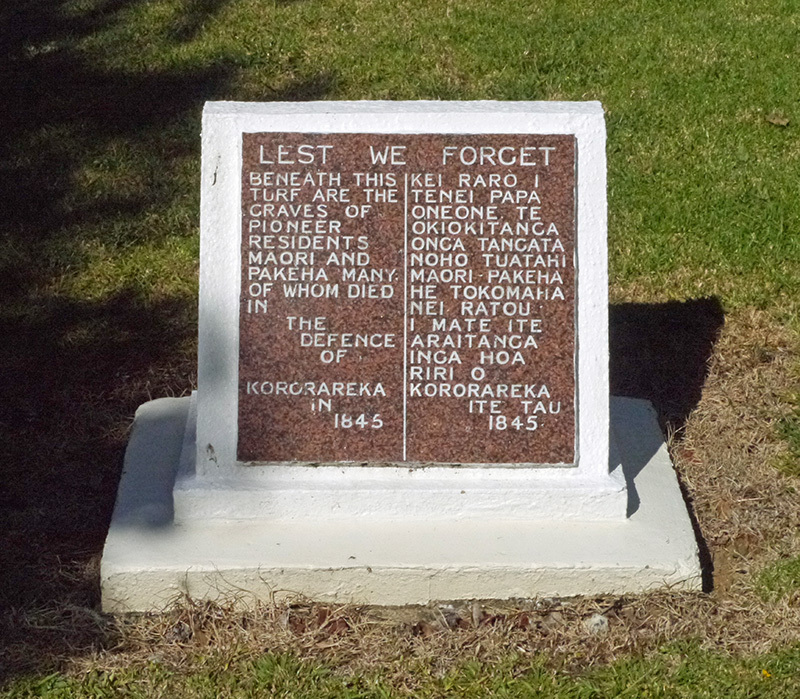 The Treaty of Waitangi, signed in 1840, was an agreement between the British and Maori chiefs to establish a nation state and share governance over New Zealand. 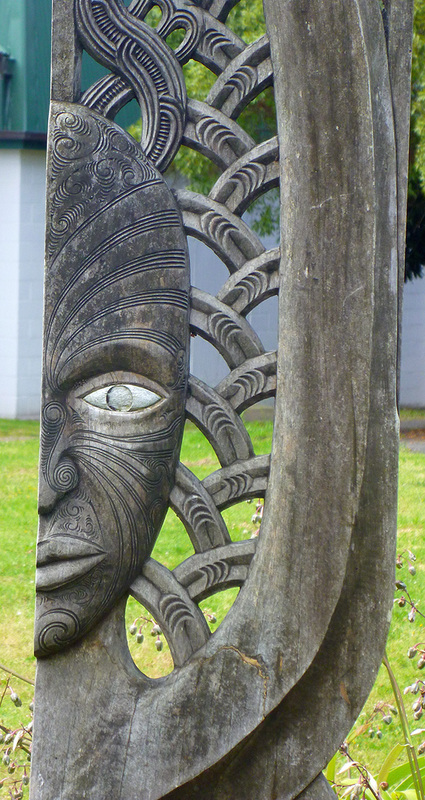 Two different versions and interpretations of the treaty caused the Maori to lose some of their rights, resulting in an inequitable society, and there is still a struggle over honoring the terms of the treaty today. Nevertheless, the attempt at creating an inclusive founding document seems more forward-thinking than the way most indigenous cultures were treated by colonial powers at the time. The picture above shows a version of the official New Zealand flag (blue) based on the British Union Jack, with four stars symbolizing the Southern Cross, flying side by side with the flag of the United Tribes of New Zealand (white). 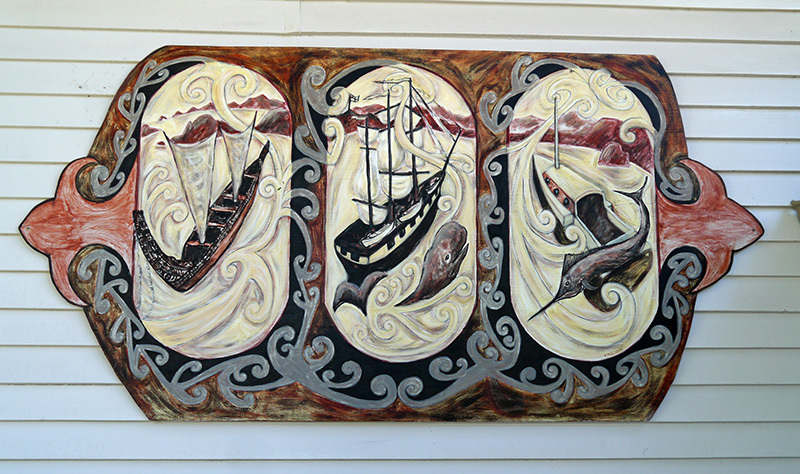 Many Maori prefer the national Maori flag that first flew at Parliament on Waitangi Day 2010, while others prefer to display the flag of the United Tribes of New Zealand. 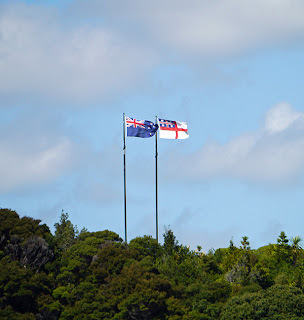 When Patrick and I went to research the significance of the white flag we saw flying over Omakiwi Cove, we were bewildered by just how many variations of the New Zealand flag exist. Over the course of a windy afternoon, the number of vessels in Omakiwi Cove swelled, as a total of 19 additional boats crammed into the anchorage with us. That afternoon, we had our bit of drama when we heard about an earthquake in the Solomon Islands over the radio. 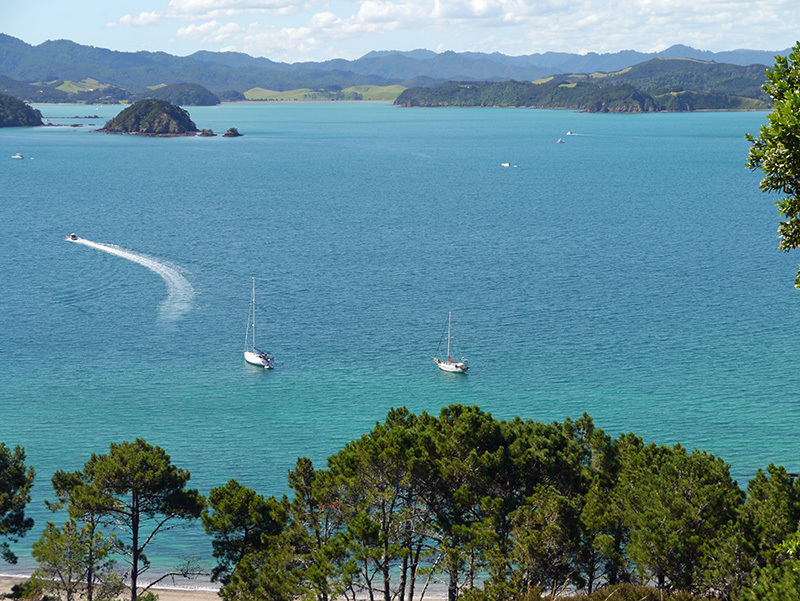 A Tsunami Watch for the North Island turned into a Tsunami Warning over the course of the late afternoon. Although the predicted wave at the North Cape was supposed to be less than 1 meter, we decided to up anchor and head for deeper water. 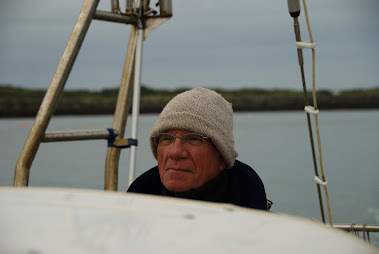 Patrick’s thought was that the prediction was based on a model---and the model could be wrong---and both of us felt that even a small wave could create havoc in such a small, crowded anchorage. About fifteen minutes after we got underway, the Tsunami Warning was cancelled. 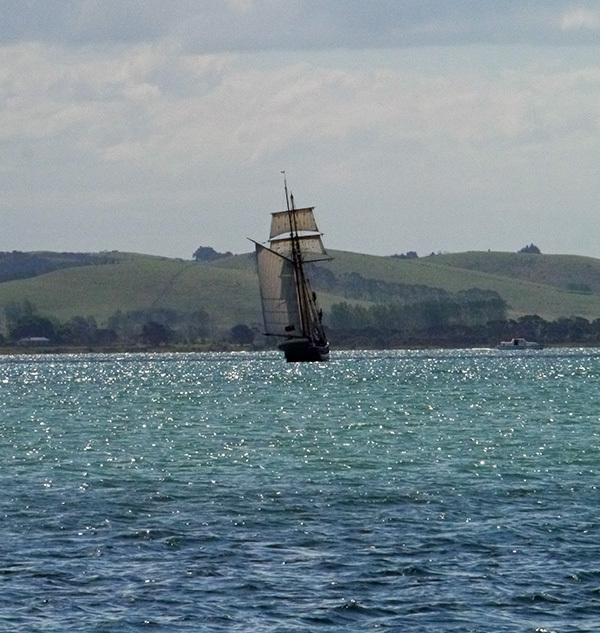 Nevertheless, we had a nice evening sail, slipping into our new anchorage after the predicted wave. 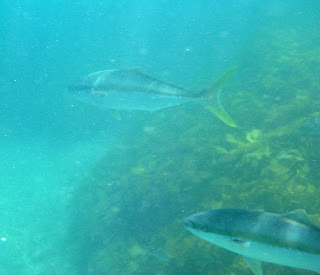 Along the way, we saw our first penguin and a pod of dolphin! 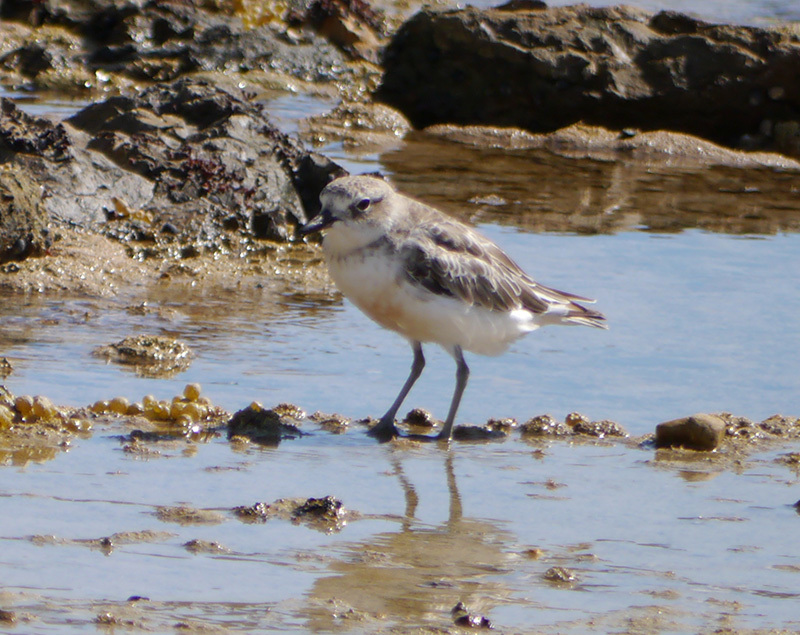 The next morning, it was finally calm enough to land on Roberton Island. 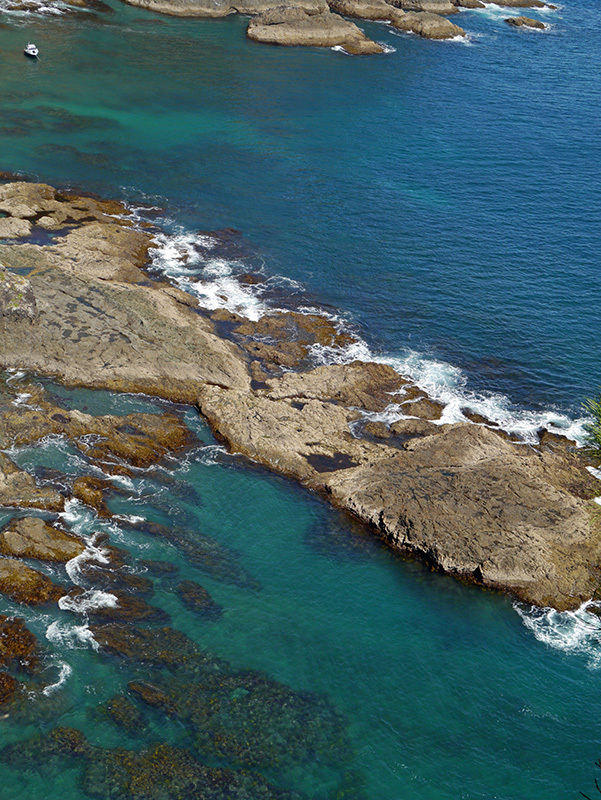 We also hiked to the top of the former pa site on the island. A pa traditionally referred to a fortified village used for defense. 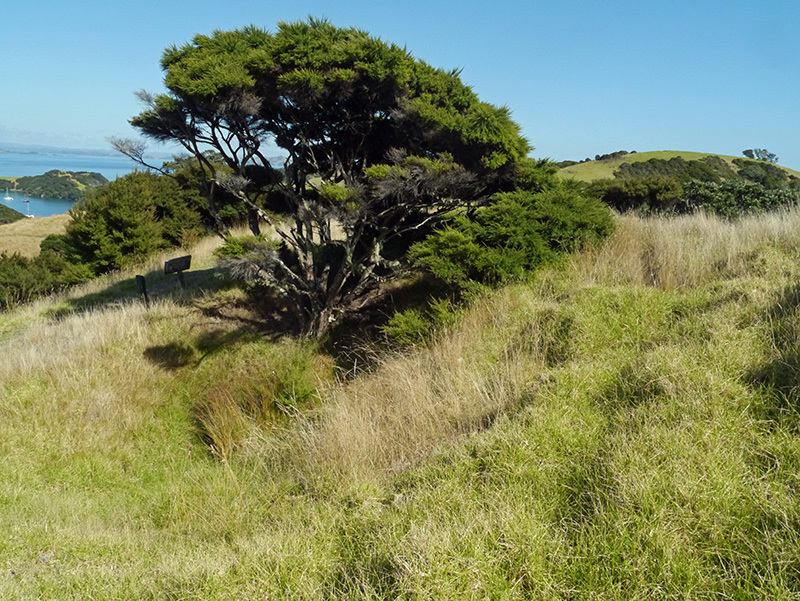 These villages were frequently terraced hillforts, reinforced with wooden palisades. The pa on Roberton Island is so eroded there are no obvious traces of it remaining, but tremendous views of both Roberton Island and the Bay of Islands can be had from the summit. 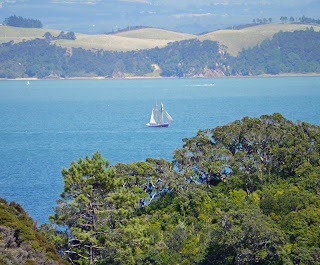 As we were taking in the views, we suddenly felt thrown back in time when a tall ship sailed by. 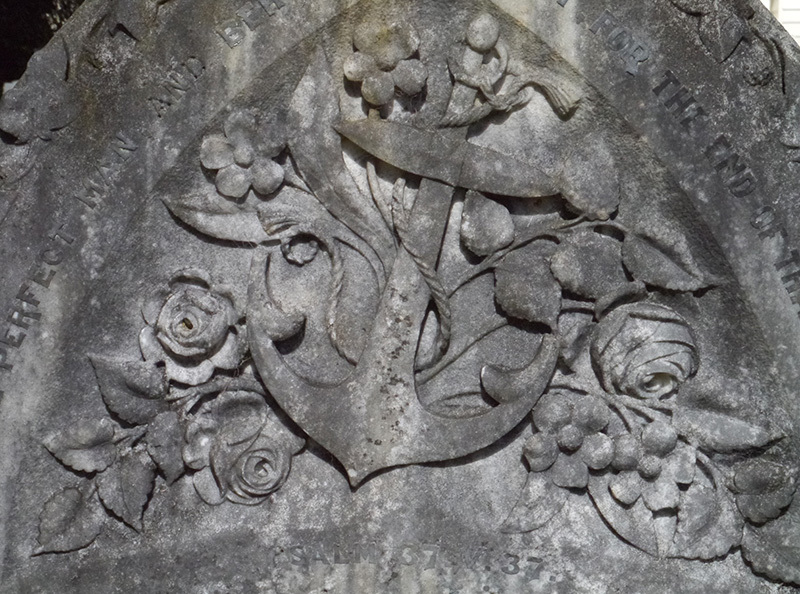 The blossoms on this specimen are faded because they are on their way out. These members of the myrtle family are so named because they are at the peak of their bloom in late December. 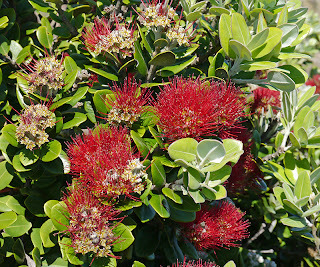 Most of the coves on the North Island and many of the hillsides are lined with these pohutukawa trees, and it must be a pretty picture indeed when they are all in bloom at the end of the year. I missed the blossom extravaganza when I was in San Diego. 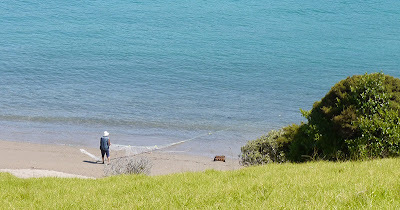 Since the stores in the villages on the mainland had been closed, we decided to backtrack to Russell to resupply fresh groceries before rounding Cape Brett for our trip to Whangarei. We had visited Russell once before by ferry, but this trip allowed us to get more familiar with this former whaling station and site of the fall of Kororareka. Instead of anchoring outside Russell, where there is a lot of ferry traffic, we anchored one bay south in Matauwhi Bay. Although our cruising guide said this had bay had poor holding, friends of ours had left their boat here for long periods and had no problem. 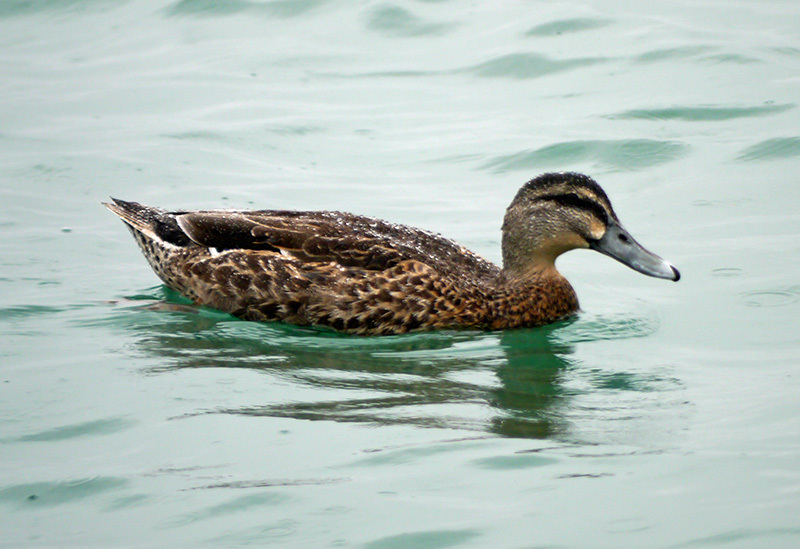 Matauwhi Bay is a convenient location because there is a dinghy dock at the nearby Russell Boating Club, and it is only a short walk into town. I had visited the Maori marae the first time we were in Russell, and we hoped to visit the Russell museum on this visit. Unfortunately, we never made it to the museum during open hours. The church had a pretty interior. 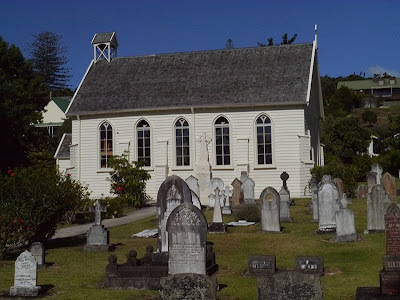 Its parishioners were obviously more about comfort than some of the more austere churches we had seen in the South Pacific (perhaps they had to listen to longer sermons), as hand-tapestried cushions in every pattern imaginable lined the pews. 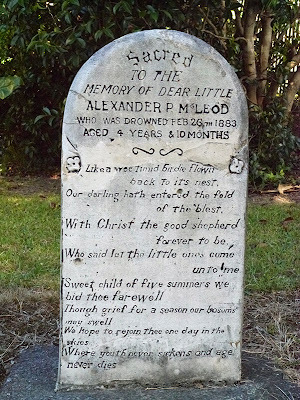 Russell’s Christ Church had an interesting graveyard on its grounds. One was reminded of the high childhood mortality rate in previous centuries. 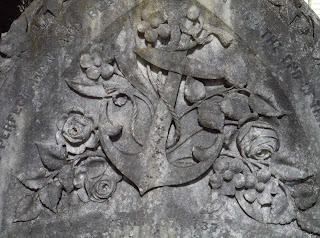 We found one tombstone that appeared to be engraved by hand. 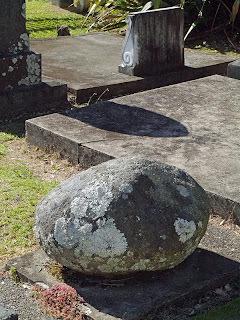 Other tombstones appeared to be actual boulders with one face planed off for carving the name and dates of the deceased. 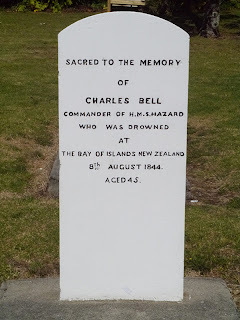 There were historical grave markers from the fall of Kororareka and maritime disasters. 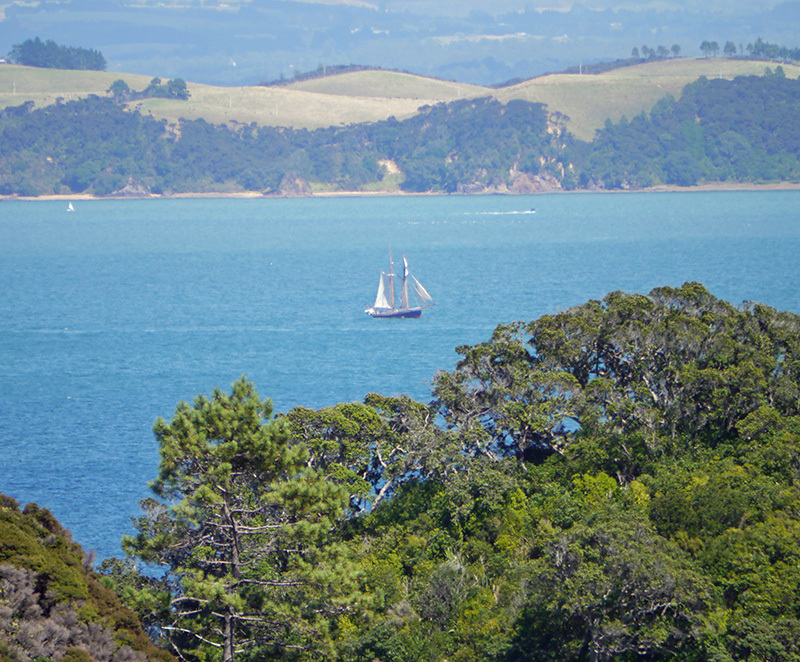 In both Matauwhi Bay and Russell, we were able to get closer looks at the tall ship we had seen from Roberton Island, a gaff-rigged, top-sail schooner. 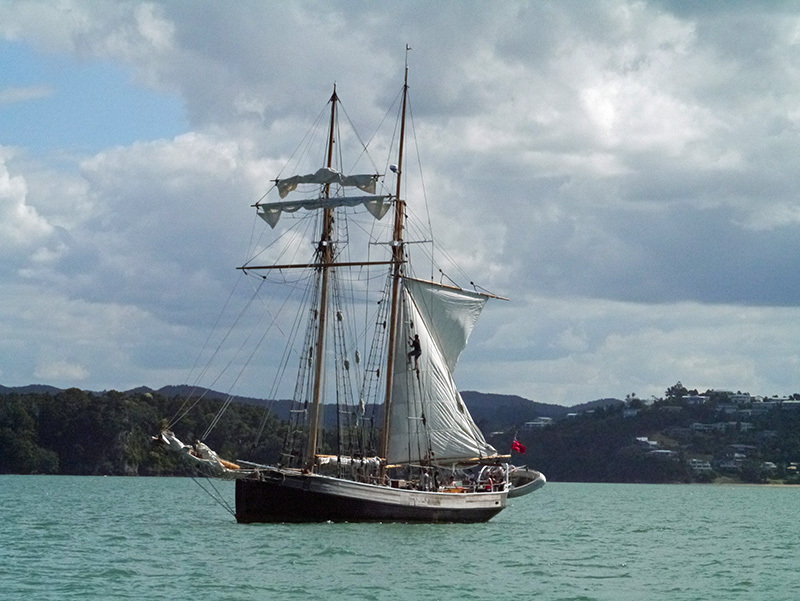 The historic-looking vessel seemed a bit incongruous with its large inflatable hanging off the stern, but her crew still climbed the rigging. 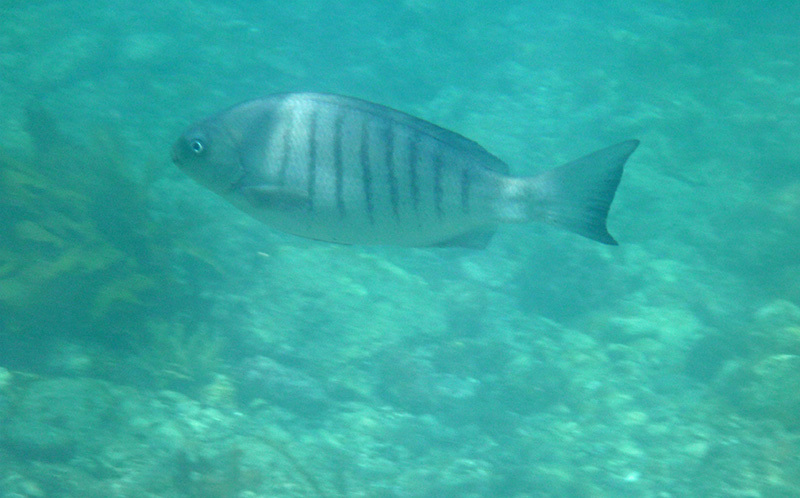 We later learned that although the R. Tucker Thompson was designed in the tradition of North American halibut schooners, she was designed using state-of-the-art computer generated calculations for stability and was herself launched in only 1985. 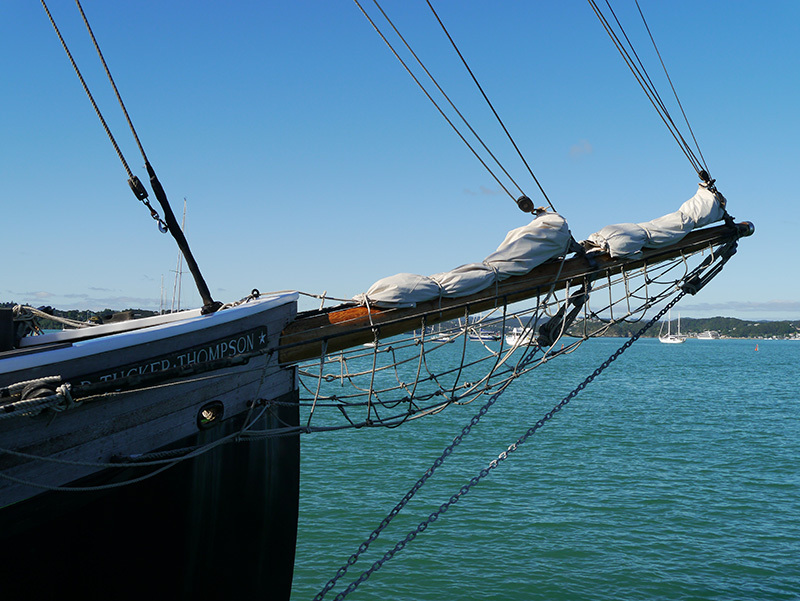 The R. Tucker Thompson now takes tourists on day and evening sails, enabling them to help raise the sails and steer the ship. Patrick also used the internet to check on his visa extension-in-progress. It turned out to be a good idea to return to Russell, as Patrick needed to provide another document by 4:00 p.m. on the day we arrived. The document (his proof of ownership of the vessel) was not required in the original application, but there was a disclaimer on the form that stated that Immigration may sometimes ask for additional documents. Patrick received this email (sent only 48 hours in advance) at 3:15 on the day the document was required by 4:00 p.m. Luckily, he was able to send a readable digital photo of the document, because we didn’t have time to go into town and find a fax machine. 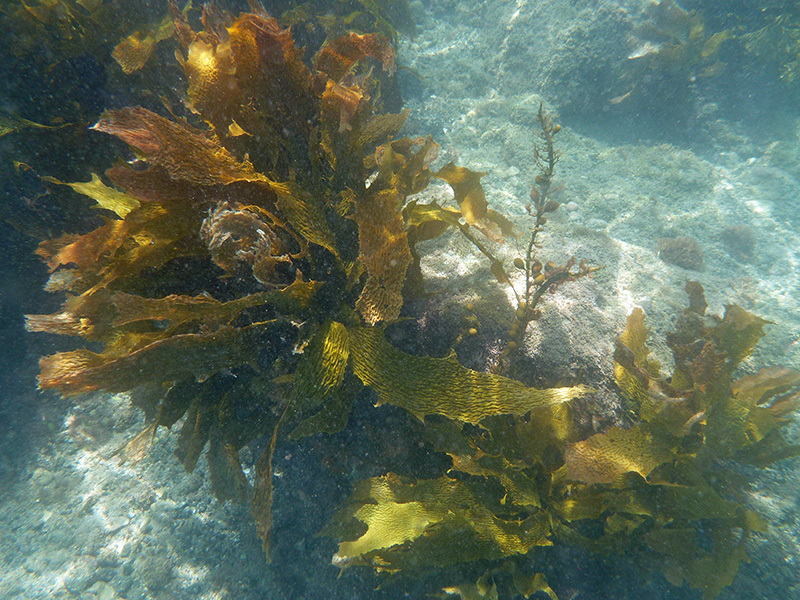 By the end of our stay in Russell, the wind in the Bay had completely died down and summer was finally in full swing. 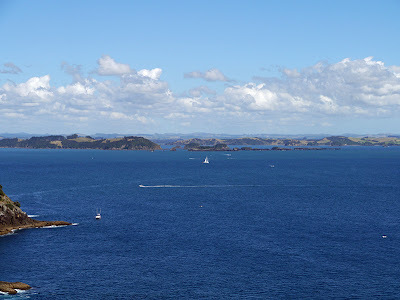 We were off to explore Urupukapuka Island and its environs before leaving the Bay of Islands. 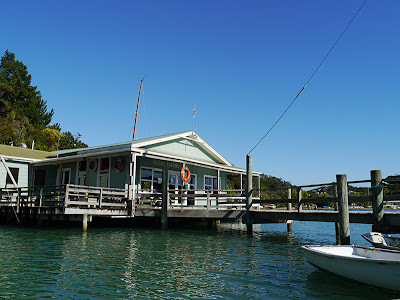 We anchored in Paradise Cove for two nights. Like all the good anchorages in the Bay of Islands, Paradise Cove can be crowded (the islands are many, but the anchorages are few); however, it is a lovely wide bay with a sandy beach and turquoise water. 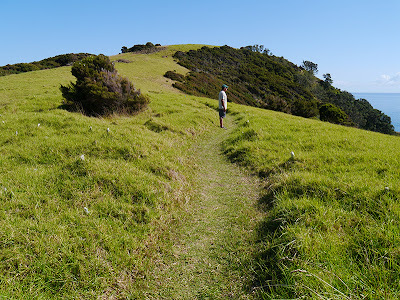 Hiking trails in New Zealand are called “tracks,” and many tracks criss-cross Urupukapuka Island (as well as nearby Moturua Island, which we didn’t visit.) We spent part of each day tramping all over the island, exploring the ancient pa sites and drinking in the coastal views. 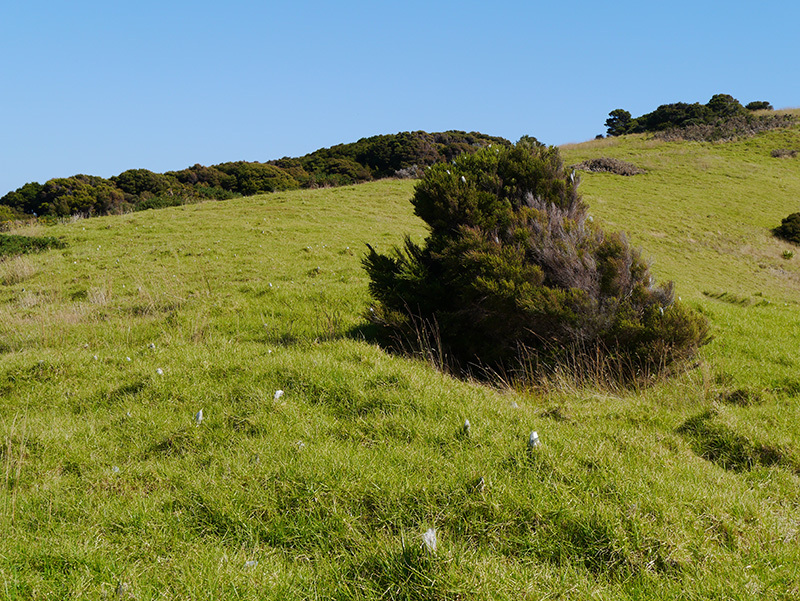 Many of the tracks on which we hiked (not just on this island) were covered with spider webs or egg cases. At first, I thought these were just an interesting form of web, but when I examined one further, I found it was full of dozens of tiny spiders. 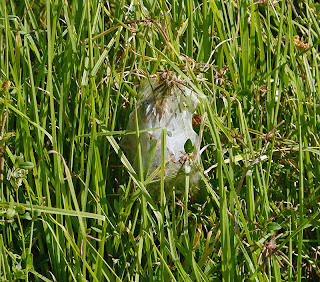 I was surprised, because if it was an egg case, the spiders inside looked to be past the size when most spiderlings hatch. I tried researching the web/egg case online, but with a basic search for New Zealand could find no images or definitive explanation of it. Patrick and I came up with some far-fetched but interesting hypotheses of our own: 1) The spiders are communal, and their "tent-like" web and tiny size are adaptations to the strong wind in New Zealand. 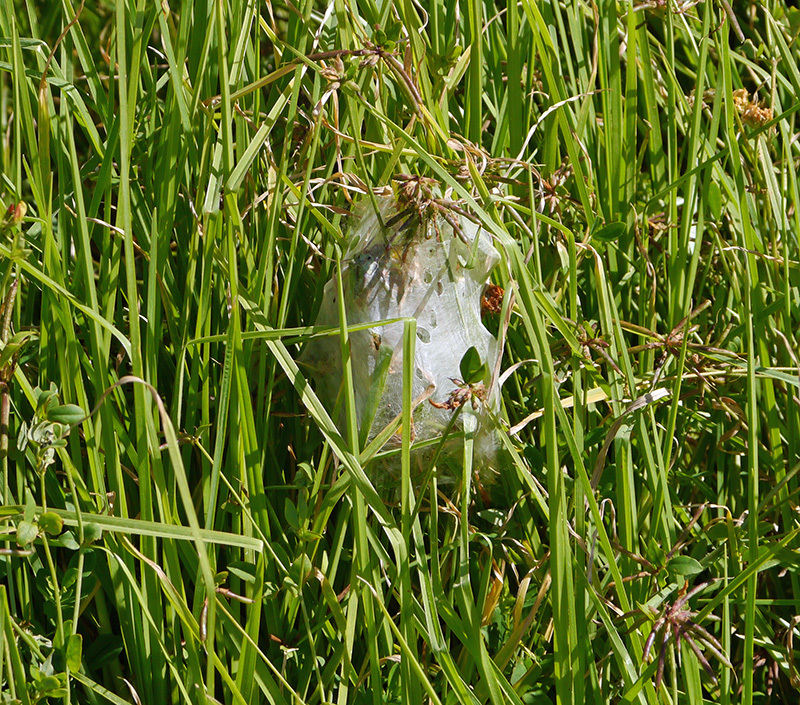 2) The spiders are cannibalistic, and the "fittest" spider hatches from the egg case when all the other spiders are eaten. 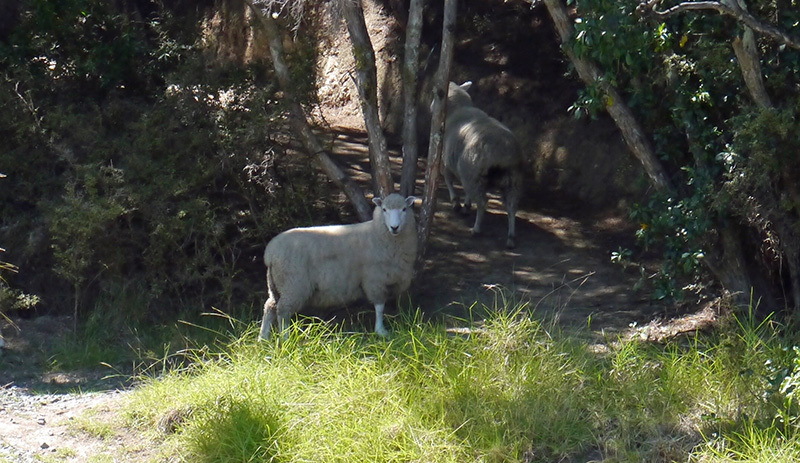 While sheep ranches cover part of Urupukapuka, it was not uncommon to meet “escapees” grazing in the forest or along the trail. ….the fish I saw looked more like dinner. 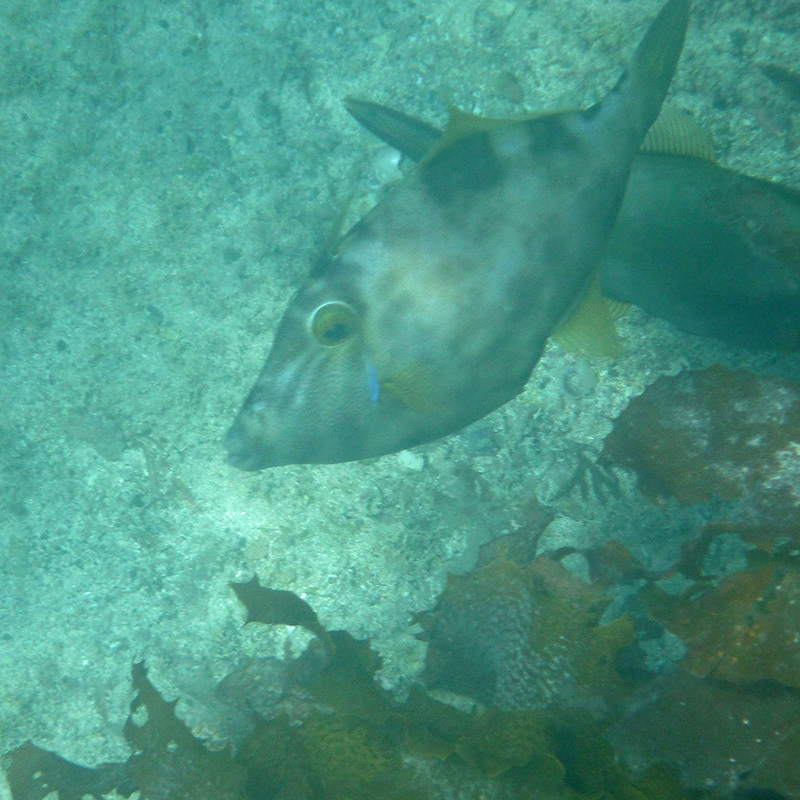 Most of the fish were congregated over the large kelp beds. 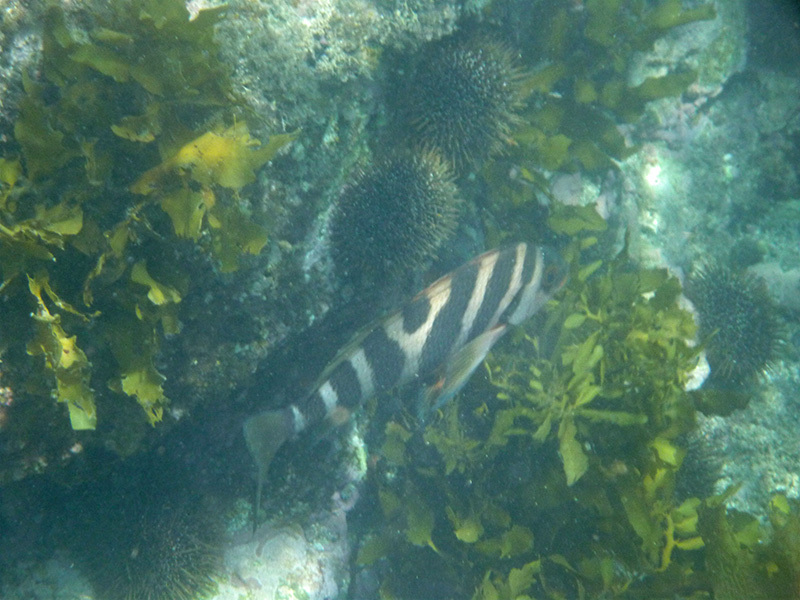 The water temperature was also a lot different from snorkeling in the tropics, and I could only manage to stay in about a half an hour before getting chilled. 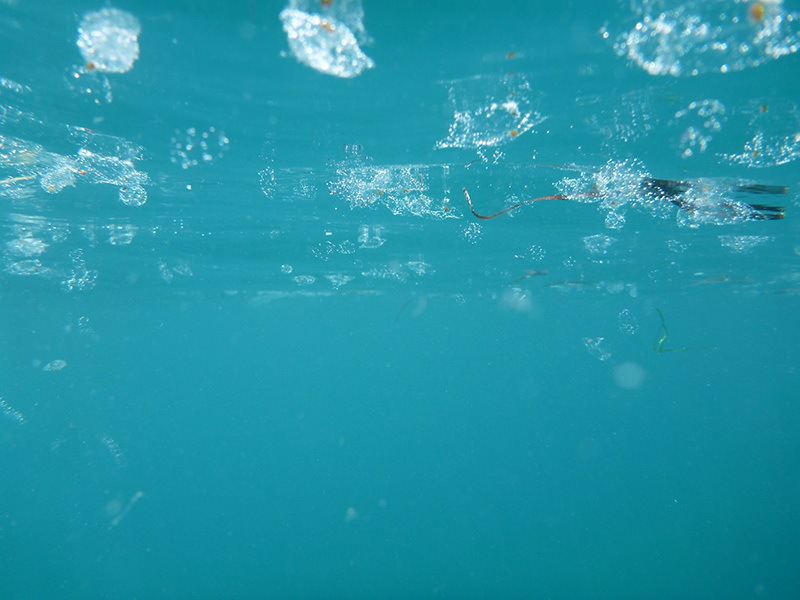 As I surfaced near the dinghy, I was surprised by what appeared to be the remains of a huge gelatinous zooplankton population. While anchored in Paradise Cove, we cleaned the prop and attempted to clean the waterline and hull of Silhouette. Two months in Opua had left barnacles on her prop and hull and covered the bottom of the boat with a thick layer of slime. The bottom was the worst we’d ever seen it. When we were ready to leave the Bay of Islands, there was no wind in the forecast for the next several days. Since we had a haul-out date in Whangarei and wanted to see some things along the way, we left anyway, feeling that motoring around Cape Brett was perhaps a better fate than bashing around it in contrary winds.